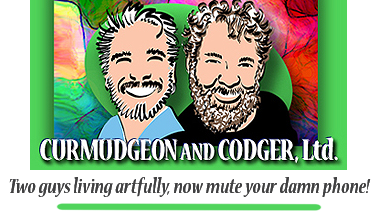 Shop – Curmudgeon and Codger, Ltd. The Artists LeFey have an incredible on-line art gallery that features dozens of pieces of affordable print-on-demand fine art in many different styles that will make your special spaces sing! Your product will be customizable on a variety of media in a variety of sizes, perfect just for you. We’re very proud to be adding representation of other great artists to our gallery throughout 2018. Please join us at The Artists LeFey! Original paper collage art by Khrysso Heart LeFey is available in Canton, Ohio at Avenue Arts Marketplace and Theatre, located at 324 Cleveland Ave, NW. Take a look at these works on our Facebook page. They may be purchased at Avenue Arts or contact Khrysso for more information.